This entry was posted on December 4, 2017, in Upcoming Events and tagged children, christmas, Christmas Caroling, church members, Pizza Party, Singing, sunday school, The First Presbyterian Church Of Levittown. Rally Day – Sunday School Registration, Sunday, September 11 following Worship. Hot Dogs, Chips & Soda will be served in the Fellowship Hall. 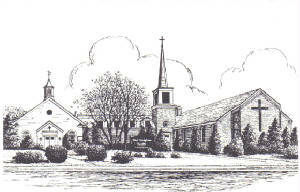 This entry was posted on August 17, 2016, in Upcoming Events and tagged back to church sunday, children, faith, following, friends, meet god and friends here!, members, pastor lou, pastor louis knowles, Rally Day, sunday school, sunday school launch, sunday school teachers, sunday worship, The First Presbyterian Church Of Levittown, worship with us. The First Presbyterian Church of Levittown and The Presbyterian Community Church of Massapequa will alternate worship services for the month of November. Please review the worship schedule for November 2015. We hope you will join us to Meet God & Friends! This entry was posted on October 15, 2015, in Upcoming Events and tagged bible scripture, bible verse, congregation, faith, fellowship, following, jesus christ, members, pray, prayers, Presbyterian, sunday, sunday school, The First Presbyterian Church Of Levittown, worship, worship service. 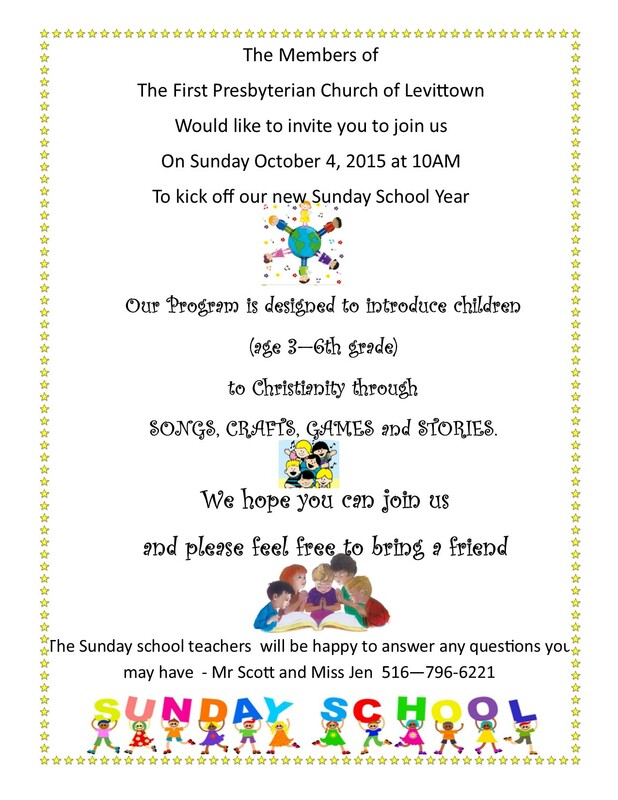 Sunday School Kick Off, Sunday, October 4th. at 10:00a.m. This entry was posted on September 24, 2015, in Upcoming Events and tagged bible readings, bible study, children, church school, faith, Fun, Presbyterian Church, religious instruction, sunday school, teachers, The First Presbyterian Church Of Levittown. This entry was posted on December 19, 2013, in Verse of the Day and tagged bible, christian, christmas, christmas eve, Church, communion, day, first, God, Gospel of Luke, holy, holy sacrament, Jesus, Levittown, Lord, Luke, new revised standard, Old Testament, pray, Presbyterian, Religion and Spirituality, religious, sunday school, verse, wantagh avenue.